Prabhuram Jivanram was born into a family of Ayurvedic doctors. His father was a well respected Vaidya in Porbundar, his home town in Gujarat, India. 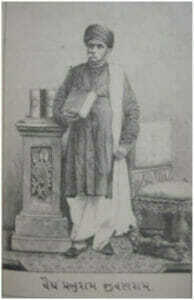 His family belonged to the Nagar Brahman, and was considered wealthy at the time of his birth. Things were just what one would wish up until the age of 3 when his father died. The financial situation became critical for his family. Therefore he and his brother were brought up by their uncle. During his childhood until the age of 12, he was taught in Sanskrit. At the age of 15 he got married to the sister of Shastri Shankarlal Maheshwar, a famous poet, whose father was an Ayurvedic doctor as well. 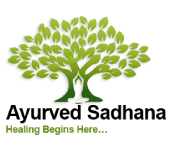 They had two sons together, one became a lawyer (Sir Vishwanath Vaidya) and the other one an Ayurvedic doctor and surgeon (Dr. Popat Prabhuram). Unfortunately he became widowed early and never married again.